Find complete information on our shipping policy please refer to our freight policy page. Q - Are Parts and Accessories shipped via freight service? A - An order placed before 3PM EST will take approximately 7-10 business days for delivery, depending on the model and / or quantities ordered. It will be shipped using FedEx if weight permits otherwise other shipping methods will be used. LTL TRUCK SERVICE - LTL (less than truckload) truck service is typically the most common method of shipping for all heavy equipment items that are over standard parcel size. Our LTL carriers are YRC, Con-way or Estes. These leading freight carriers move and track thousands of shipping transactions daily. They generally utilize enclosed vans and trailers with rear doors that provide access to the inside of the trailer. These freight carriers have many terminals located across the United States where they consolidate freight to be picked up and delivered. As a shipment moves from pick up point to destination it is typically placed with other freight shipments bound for the same area to be delivered. It is important to realize that LTL shipping involves additional handling as other shippers’ freight is often loaded on and off the truck en route to the destination. FLATBED TRUCK SERVICE – Flatbed truck service is usually the only method possible when transporting heavy items that are oversize and not conducive to standard LTL handling (freight cannot easily be transferred in and out of cargo vans or trailers). Please call 1-800-587-0663 for a complete listing of products that must be shipped via flatbed service only. For handling and transportation of oversize or delicate cargo, flatbed service is usually a more reliable means. Freight is loaded onto owner-operator flatbed trucks at our shipping facility, and then most likely will never be handled until final delivery is made. Using flatbed service involves the least amount of handling which usually means less risk of loss or damage. Shipping on flatbed trucks may increase the delivery time somewhat, but many of our customers feel the added assurance of minimized damage is worth it. Q - Why do flatbed shipments take longer to leave our warehouse? A - It takes longer for flatbeds to depart because it takes time to fill the truck with shipments destined for a similar region. A - Your shipment will not be moved from one trailer to another and there will be no loading and offloading between our loading dock and the destination. We always build the most efficient transportation routes possible to keep transit times to an absolute minimum. WHAT SHIPMENT METHOD WILL BE CHOSEN FOR MY SHIPMENT? LTL service is the most common method of shipping for all heavy items that are over typical parcel size. The day after your shipment leaves our shipping facility you will be contacted within 24-48 hours and given the name of the LTL carrier used and a bill-of-lading number or PRO number for your shipment. For flatbed exclusive shipments (oversize or delicate), we will contact you prior to shipping your order and notify you whether your shipment is designated as a flatbed service shipment. You will be given the name of the owner-operator driver and details of the scheduled delivery date and what to expect. Please call 1-800-587-0663 for a complete listing of products that must be shipped via flatbed service only. CAN ​I TRACK AN "LTL" SHIPMENT? For LTL shipments, contact YRC, Con-way or Estes and use their Web tools to track your shipments using the Pro number given to you. If you failed to receive a bill-of-lading number or PRO number for your shipment please contact our customer service department by calling 1-800-587-0663 or e-mail us at mail@wrencherswarehouse.com. HOW CAN ​I TRACK A FLATBED SHIPMENT? Flatbed shipments are typically more difficult to track en route. Prior to your shipment leaving our facility you will be given the name of the flatbed company and a scheduled delivery date the owner-operator has chosen for your shipment. Flatbed owner-operators can be contacted via cellular service should a situation arise that affects your scheduled delivery. Please contact our customer service department by calling 1-800-587-0663 or e-mail us at mail@wrencherswarehouse.com if you require the phone number for the flatbed owner-operator. IS THE DRIVER RESPONSIBLE FOR UNLOADING MY SHIPMENT? No, truck freight companies do not require their drivers to unload shipments. It is the buyer's responsibility to unload the freight at their location. Wrenchers Warehouse will take no responsibility for any additional charges incurred from the renting or acquiring of equipment for the purposes of unloading items off of a delivery truck. An additional fee will be applied to all residential deliveries of heavy equipment and to any lift gate service. Shipping and handling rates are subject to change without notice. CAN A CALL AHEAD DELIVERY APPOINTMENT BE MADE? We can instruct the trucking company to call you 24-hours before delivery to schedule the delivery of your product. There will be a minor fee, but this "call ahead" service is quite popular with our customers. When requesting this service, be sure to give us your cell, residential or work phone number so that immediate contact can be made and any potential delivery delay can be avoided. If your shipment is being delivered to a business during normal business hours with freight-handling facilities, then the call-ahead feature is completely unnecessary. Please be aware that this call-ahead service may add one to three days to your delivery schedule. It is your responsibility to work out the delivery arrangements with the freight dispatcher during initial contact with the shipping company. If you have special needs or delivery instructions, that is the time to discuss and make those arrangements. Wrenchers Warehouse does not own the delivery trucks or employ the drivers for delivery, nor is Wrenchers Warehouse liable for inaccurate information delivered by the end user to the shipping company. WHAT IF I AM UNABLE TO UNLOAD THE SHIPMENT AT MY HOME OR BUSINESS? OPTION 1 - Our freight carriers have hundreds of terminals located across the United States. If you have explored all options yet still find you are unable to safely or efficiently unload the product at your home or business, it can be shipped to a freight terminal for customer will-call/pick up. Our courteous sales professionals will work together with you to find the closest freight terminal. NOTE: Freight terminals have different operating hours and loading procedures. We advise all customers to contact the terminal directly in advance to inquire about operating hours and loading procedures. The freight terminal will load the product onto the your trailer or pickup truck. Open trailers are easier to load and unload than an enclosed trailer. Be sure to bring some form of photo ID in order to pick up your product at the freight terminal. OPTION 2 – We use a nationwide network of independent contractors for lift installations. 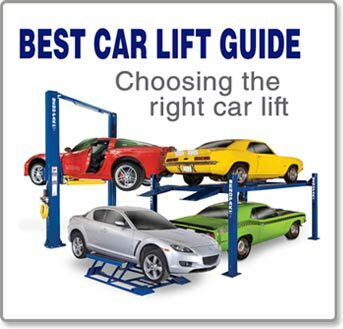 In the event you wish to have a lift installed by a professional team, you may be able to have the lift shipped to their facility and then delivered to you at the time of installation. If you would like to have a lift installed at your location, please contact our customer service department by calling 1-800-587-0663 or e-mail us at mail@wrencherswarehouse.com. We will work with you to arrange delivery and installation. OPTION 3 - Some of our LTL freight carriers have hydraulic lift gate service on their delivery trucks. There will be an extra charge for the lift gate service depending on the carrier. 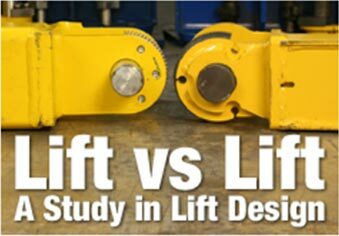 Lift gates are normally rated at a 1,000-lb. capacity and have certain size limitations; however, depending on the size and weight of your shipment, hydraulic lift gates do allow some of our customers the ability to offload many of our products without the use of a forklift. Remember, it is always the customer's responsibility to unload the truck. If the hydraulic lift gate brings the product to the ground, it is the customer's responsibility to get the product off the hydraulic lift gate. Always be prepared before the truck arrives. Please note that Wrenchers Warehouse has no control over the shipment once it leaves our warehouse and we cannot be held responsible for shipping damage(s) and/or lost package(s) once they leave our facilities. Although we will do our best to package your shipment to minimize damage, minor scratches and abrasions due to normal transportation and handling are expected. DO NOT refuse your shipment if you observe minor scratches or abrasions. You may be responsible for round-trip freight charges if your claim for damage is denied.